Workplace innovation platforms are high productivity collaborative development tools used by both developers and non-developers to solve business challenges not addressed by existing systems. They allow business leaders and general staff to work collaboratively to build applications and automate business processes while innovating their organization’s digital portfolio. The user-friendly interface of workplace innovation platforms enables non-developers to quickly produce applications using free-form visual design tools. For professional developers, these platforms facilitate full-stack development and offer the ability to fine-tune applications and expand functionality. Adaptive and robust app creation tools allow for instant schema production and prevent classic syntax errors and exceptions, letting businesses iterate on pace with their rapidly evolving business requirements. While traditional programming and RAD tools remain in the hands of IT departments and developers, workplace innovation platforms enable virtually all users—regardless of IT experience—to build, customize, and maintain applications that evolve alongside their business. Workplace innovation platforms allow teams to share information in real time on any device. They also provide tools to connect systems and services using API integration. These platforms allow users to adopt emerging technologies through extensibility without the complexity of traditional development and integration. Beyond the technical offerings of workplace innovation platforms, many of tools offer extensive resources that include a global professional partner network, in-depth learning resources, and an active online community. This allows users to build off the development of other teams and share their experiences working with the platform. Many also provide integrated marketplaces of commercial products that help extend the functionality of the platform. Workplace Innovation Platforms reviews by real, verified users. Find unbiased ratings on user satisfaction, features, and price based on the most reviews available anywhere. 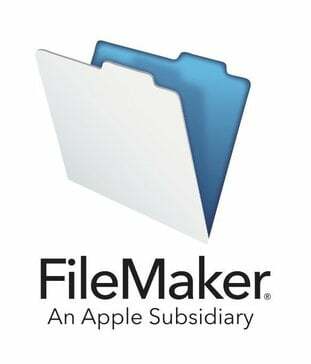 FileMaker is an Apple subsidiary that provides a Workplace Innovation Platform to create, share, and integrate custom apps for mobile, cloud, and on-premise environments. It allows everyday problem solvers to unleash their expertise and innovate in the workplace. It also provides professional partner network, learning resources, an active community, and global reach to its customer base. Build apps that fill gaps, like accelerating business workflows or scaling internal operations, with G Suite’s low-code development environment. App Maker is included with G Suite Business and Enterprise editions, as well as with G Suite for Education. 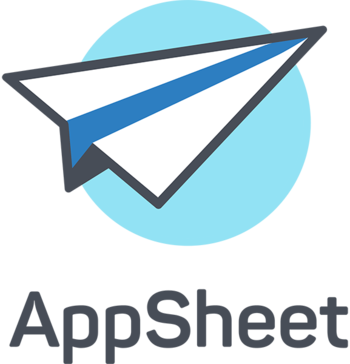 AppSheet is the intelligent no-code platform trusted by over 200,000 app creators around the world including Clearlink, Enterprise Holdings, ESPN, Pepsi, Husqvarna and more. A Forrester Low/No Code Development Platform leader in 2018. Build a No Code App in 4 Ways: 1) Connect your data sources (e.g. Excel, Google Sheets, SQL, etc.) 2) Copy a sample app. 3) Use an Add-On for Google Sheets, Forms, or Excel. 4) Start from SPEC, our natural language declarative programming tool. 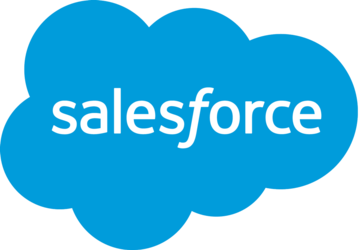 Built on the Salesforce App Cloud, the Lightning Experience combines the new Lightning Design System, Lightning App Builder and Lightning Components to enable anyone to quickly and easily create modern enterprise apps. Zoho Creator is a low-code application development platform that empowers you to build enterprise-class applications that run on mobile, tablet, and web. Create custom forms, configure workflows, build informative pages, and get your app up and running in minutes. Whether it's logistics or order management, the possibilities are endless. Businesses of all size trust Zoho Creator to manage their data and have built more than 2 million+ apps on it. Access data anytime, anywhere. Quick Base empowers businesses to quickly turn ideas into applications that make them more efficient, informed, and productive. By using Quick Base, anyone — regardless of technical background — can quickly create business apps they can use and share with others. Find out why Quick Base is trusted by 6,000 companies, including half of the Fortune 100. K2’s intuitive, cloud-based digital process automation platform offers both the robust capability necessary to deliver integrated, mission-critical process automation at scale, as well as the tooling to quickly roll out fast-changing and lightweight departmental workflows across the business. The K2 platform was designed to pull together people, services, information and systems into process-driven applications that help transform the business. Process designers can then reuse what’s been built, like building blocks, to assemble new applications. The platform is build around around four key features that are uniquely designed to support rapid development across the enterprise: Powerful workflow without code; Feature-rich forms; Integration to virtually any systems plus comprehensive role-based management tools that provide security and governance on all aspects of the platform. Over 30% of the Fortune 500 and more than 4,000 customers around the world are automating their businesses using the K2 platform. Companies such as Kimberly-Clark have automated hundreds of processes, resulting in a reduction of development costs by approximately 78%, significantly improving time-to-value, and increasing business process efficiency. Qalcwise no-code platform is a business application builder for non-programmers. It allows customers to create and deliver web apps across all devices without any use of code which makes it the fastest and easiest way ever possible. Solutions don’t need to be convoluted to be comprehensive, nor do they need to be intimidating to be scalable. That is the difference that Process Director brings to the game: custom applications comprehensive enough to handle complex business problems, but created on an intuitive platform that is business-user friendly. Built by BP Logix, Process Director is a BPM software solution that allows you to create applications quickly— ones that scale well and are easy to restructure… two essentials for organizations that will inevitably grow and change. Free Up Your IT Department Because Process Director can be handled well by business users, it allows IT to get back to its monstrous to-do list. It also gives the people closest to the issues the tools to fix those problems optimally. Their way. No Visio? No Problem Though we do offer the standard ‘if-then’ Visio workflow diagrams, Process Director’s Process Timeline™ provides a powerful alternative— a Gannt-chart style processing engine that offers predictive analytics pulled from your own data. 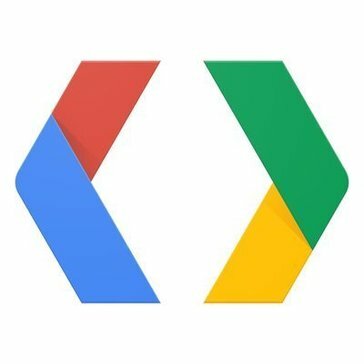 Have complex parallel tasks? No problem. Need something that can scale to hundreds or even thousands of discontinuous activities? No problem. Need something that doesn’t require manual interventions and provides DYNAMIC estimated completion times? No problem and no problem! Process Timeline is included in the Process Director suite of tools, ready for you to deploy. Make Audits Fun! Okay, well perhaps not fun… but at least alleviate the pain of audits by using Process Director to create secure and customizable audit trails. With our BPM software solution you can track changes, maintain accountability and collect data for meaningful reporting and analysis. AI-Powered While we do not promise sentience, we do promise that Process Director’s AI features will enable you to transform your data streams into powerful predictions. With accessible machine learning tools that don’t require a data scientist to leverage, you can take your information to the next level whether it is in-house, IoT (Internet of Things), or beyond! We Got You BP Logix provides customer support that goes beyond the standard. We create relationships with you that begin with in-depth online training for your organization. Our responsive services team is also available to help as much as you require (or desire). We also offer custom options that we can work with you to create. When you reach out to us, we answer. Discover what your applications could be. Discover Process Director. appsFreedom is a application development software that launches new apps at lightning speed with pre-integrated, ready-to-use app templates. AuraPortal zero-code Digital Business Platform is the fastest tool to transform enterprise operations. Our business-user-friendly software has over 4 million users benefitting from optimal efficiency, agility, security and collaboration. Integration and real-time control and analysis of all company activities provide actionable insight, empowering companies to continuously improve and seize new business opportunities. The social and collaborative framework is adaptable to mobile devices and accessible in the Cloud. Why AuraPortal? Powerful Business Rules: Adapt instantly to changing regulations. Integration and real-time control and analysis of all company activities provide actionable insight, empowering companies to continuously improve and seize new business opportunities. Process Automation + Intelligent Functionalities Intelligent Mobility: Achieve ultimate business efficiency; work anywhere, anytime and on any device! Dynamic Case Management: Make faster and more accurate decisions with automation and real-time information. Connectivity and API: Easily connect data to your applications with zero-code data importer and integrations. Data Model and Records Relationship: Seamlessly manage documents, content, dictionaries and more. Analysis and Smart Decision: Act smart by leveraging a wide range of sophisticated functionalities. Welcome to the no-code era! Build complex enterprise grade applications: surprisingly easy, fast and fun. The No-code platform Betty Blocks is all about empowering a new generation of developers and pushing the boundaries of what is possible with hpaPaaS. We support citizen developers, help organizations innovate and challenge assumptions of what a no-code platform can achieve. From mobile apps to (customer) portals to back office management and everything in between. The Betty Blocks platform’s ease of use supports every size or complexity of your app. Go as far as you like, the easiest way possible. 100% in the cloud. 100% no-code. 100% innovation-driven. Caspio is the #1 cloud platform for creating custom database applications fast and without coding. With an intuitive point-and-click app builder, non-technical business users will be able to create custom web apps fast and at a fraction of cost compared with traditional software development. All Caspio-powered apps can be seamlessly deployed on your own website, intranet, CMS, blog, or any other web property. With Caspios online database platform, you can create apps 20 times faster than conventional development. All pricing plans include UNLIMITED USERS. Try it for free! clearString has been created for use direct by business pros - no coding is ever needed. clearString enables Business Consultants to work on complex business process projects to create custom business applications. clearString is a Full Stack system: from web & mobile public front-end through secure reporting. FulcrumOne Platform built on services-based principles and architecture consists of an interoperable set of services that can be brought together to create apps and workflows based on the specific client need and context. A symbiotic set of technology capabilities and components form the platform. A services-first versus applications-first mind-set is one of the main attributes of this loosely coupled, interoperable platform – much like Lego blocks (services) that can be easily rearranged to meet different needs. The openness and composite nature of FulcrumOne is ideally suited to the external-facing capabilities required by new digital business processes, moments and models. Fuse Framework is an affordable no-code solution for startups, small, and medium sized businesses that transforms manual processes and spreadsheets into online business applications and workflows. Gain real-time visibility into the status of operations across the enterprise to improve efficiency, productivity and performance. HYPE Innovation is a full-life cycle innovation management software that allows organizations to engage thousands of employees in idea generation and collaborative problem solving. Innovation Platform is a online solution for your intrapreneurship and innovation programs. Innovbook is a software for managing ideas that guides the process of innovation in your company, helping to turn ideas into organization advancement. Inno@work is a tool enabling companies to initiate an intrapreneurship program, the software merge crowd mechanisms (crowdsourcing, crowdtiming, crowdfunding) with competence mapping, competence matching and gamification. LiveTiles Cloud is a SaaS that cuts through IT red tape and eliminates dev delays to get teams up and running on one platform, in a single day. WaveMaker Rapid is an award-winning web and mobile app development and delivery platform. For over a decade, tens of thousands of developers have built apps 67% faster using WaveMaker’s visual, drag-and-drop RAD platform. Apps can be deployed to the cloud or on-prem infrastructure with a single click. WaveMaker Rapid is available as a hosted service and as an on-premise software. Zvolv is a No-Code Workflow Automation platform that allows users to build enterprise applications in days. Applications built using Zvolv incorporate AI, Cognitive Automation, Analytics, Collaboration, Document Management and many other core functionalities. Zvolv apps are built for mobile and users get iOS and Android apps along with their web interface. Zvolv's flexibility allows users to capture and enable processes to a high level of detail and customize the application as soon as the associated business process evolve. Hi there! Can I help you find the best Workplace Innovation Platforms solutions?